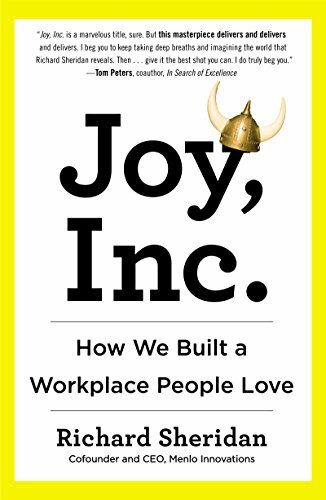 I have been telling everyone who will listen to read Rich Sheridan’s book Joy, Inc. ever since I came across and read it in the fall of 2015. Skip ahead a bit more, and I spent four days last week at Menlo Innovations in Ann Arbor – two days “in the chalk circle” paying close attention to the actual day-to-day work there, and two days working (pairing) with Rich Sheridan to work out the key beats for his KataCon keynote. In other words, you won’t see the explicit artifacts that characterize an organization using Toyota Kata to learn how to think about improvement scientifically. In that sense, Menlo isn’t a “Toyota Kata” benchmark. What you will see (and hear… if you pay attention) at Menlo Innovations is an underlying pattern of scientific thinking and safe problem solving in everything they do. Let’s review what Toyota Kata is really all about. Going back to Mike’s original research premise, we knew that Toyota has this pretty awesome culture thing, but didn’t really understand the “secret sauce” of the exact structure of their interactions. Put another way, we saw and understood all of the artifacts, but copying the artifacts doesn’t copy the culture. Mike’s research was really the first that dug deeper into the interactions that the artifacts support. Once he extracted that “secret sauce” he then boiled off all of the other stuff, and what remained at the bottom of the pot was the Improvement Kata steps and the Coaching Kata steps. In practice at Toyota, those things are deeply embedded in the artifacts. Sometimes they aren’t even spoken. In our conversation on Friday, Mike pushed back a bit on “just run the experiment,” [context clarification: Experiments to randomly try stuff, without a clear target condition rarely get you anywhere] but the reality I observed and heard was that “purpose” (challenge and direction) and “current condition” are deeply embedded in the day-to-day interactions, and “just run the experiment” is, indeed, working on a specific obstacle in the way of a target condition of some kind. “What problem are you trying to solve?” is Menlo jargon that I overheard many times just listening to people talk. Within Menlo, that term is contextual. Sometimes it is about the higher-level direction and challenge. Sometimes it is about an intermediate target condition. Sometimes it is about an immediate problem or obstacle. As we say in Kata world, it is fractal. It is truly fractal at Menlo as well, to the point where the words don’t change at various levels. The words DO change at various levels in Toyota Kata’s jargon, but we can’t get hung up on the terms, we have to look at the structure of problem solving. Menlo’s co-founders already had this thinking pattern, and deliberately sought to embed it into the culture of the company they were starting. There wasn’t really any need to explicitly teach it because they weren’t trying to change the default behavior of an organization. New Menlonians learn the culture through the interviewing and on-boarding process and adopt very quickly because the very structure of the work environment drives the culture there. In fact, spend any time there even just hanging out, and it is very difficult NOT to get pulled into The Menlo Way. Like everyone else, Rich and I were in the daily stand-up as pair-partners, reporting our work progress on his keynote. Menlo has had hundreds (thousands, actually) of visitors, and those who are “lean savvy” all ask if Menlo is “using lean” as their guideline. The answer is “no, we are just trying to solve problems.” While they have certainly incorporated most of the artifacts of “agile software production,” the purists push back that they aren’t “really doing it” because they didn’t copy those artifacts exactly. Nope. They used them as a baseline to solve Menlo’s problems. When we see an awesome problem-solving culture, it is tempting to try to reverse engineer it by copying the physical mechanics, such as heijunka boxes (work authorization boards), kanban, “standard work” and the like. But we have to dig down and look at the routines, the behavior that those artifacts and rituals support. When we do, we see the same patterns that Toyota Kata is intended to teach. You need to begin with the thinking pattern. Use Toyota Kata to learn that. As you do, take a look at your artifacts – the procedures, the policies, the control mechanics of your work. Reinforce the ones that are working to create the kind of culture you want. Challenge the ones that are getting in your way. Do both of those things as deliberate experiments toward a clear vision of the culture you want to create. That is the benefit of studying companies like Menlo. I hope to see you all at KataCon, hear what Rich has to say to our community, and establish a link between these two communities that have, up to now, been separate.